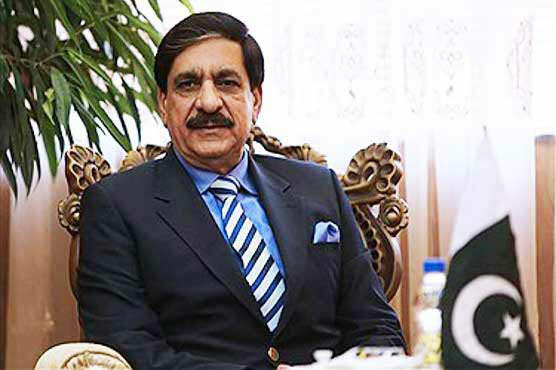 ISLAMABAD: A business delegation from Afghanistan, led by Deputy Minister for Commerce Kamila Siddiqui, called on National Security Adviser Lt General (r) Nasser Khan Janjua here Wednesday. They discussed matters pertaining to improvement of bilateral economic relations and to enhance trade between the two countries, said a press release. Welcoming the delegation, the NSA expressed satisfaction over the recent improvement in bilateral relations between Pakistan and Afghanistan. The NSA assured the delegation about Pakistan’s wholehearted support to improve bilateral trade, urging the delegates to propose steps to formalize economic activities between the two countries. “Please bring both the countries close by way of economy and trade,” he added. Both the sides also agreed to make efforts for sustainable economic relations by taking required steps to formalize the economic activities between the two neighbors.